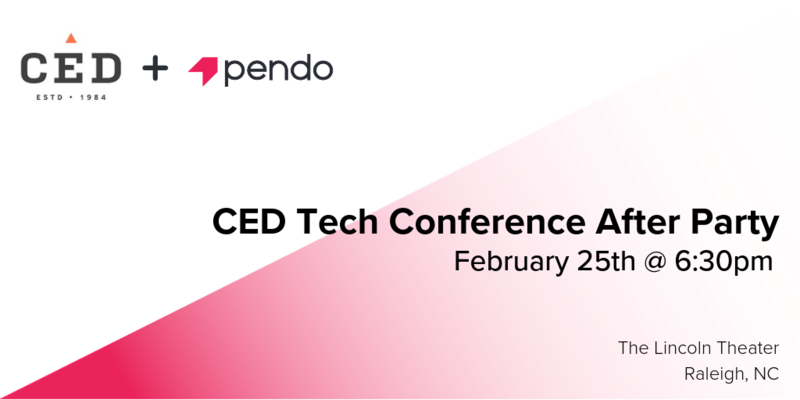 The 2019 CED TechCon After Party, sponsored by Pendo, welcomes the entire tech community to a new Triangle tradition. Piggybacking on the largest and longest running tech conference in North Carolina, it’s only appropriate we come together for an evening of unscripted fun to celebrate tech entrepreneurs and their successes. CED is a nonprofit community resource that supports tech entrepreneurs by bringing together the resources they need to accelerate their growth. And Pendo is proud to support that mission.